I think I am the only one who still uses an old fashion mop which is not as easy to use as my new O-Cedar EasyWring Spin Mop & Bucket System, you will enjoy an effective and efficient cleaning experience with minimal labor and little mess. Exclusive bucket design has built-in wringer that allows for hands-free wringing. It's ideal for all hard floors with no bending down and no wet hands. Its triangular mop head allows for cleaning in hard-to-reach areas. 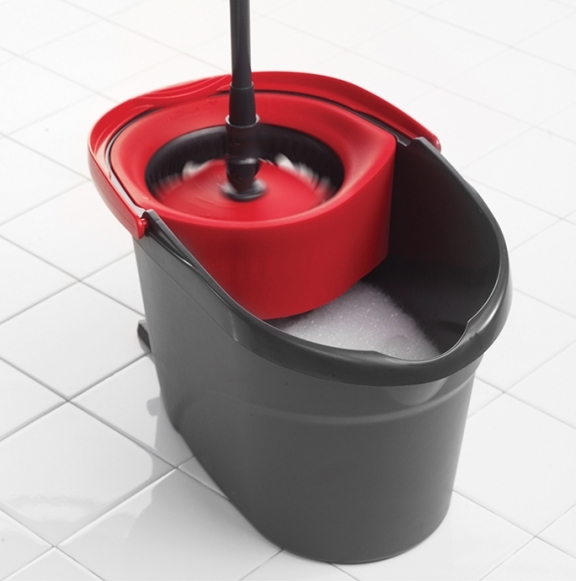 The EasyWring Spin Bucket & Mop gives you the ability to control the amount of water applied to the floor, easier wringing, deep-cleaning microfiber removes, absorbs tough dirt, grime on quicker-drying floors. High-quality foot pedal designed to activate spin wringing, allowing the level of moisture to be controlled. Is compatible with the EasyWring Spin Mop Refill. My Opinion: Where have I been? Under a Rock? 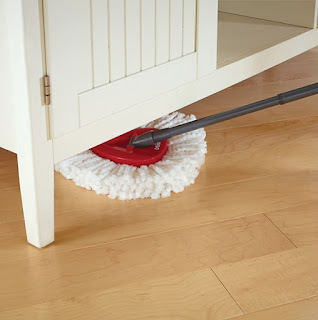 This is such an easy mop to use and I do not have to scrub very hard and up comes the dirt. I love the fact that I do not have to use my hands to wringing as I suffer from arthritis and pain. I think all women would love one of these for Valentine’s Day to make their cleaning routine easier.